Material and operational factors affect the output of high speed mixer machines. 1. The new ring mold of the mold hole is polished before use because the inner wall of the mold hole is attached to some iron chips, oxides, etc., in order to make the inner wall of the mold hole smooth, reduce friction resistance, and increase the grain production. 2. The blockage of the mold hole is mainly caused by the poor performance of the high speed mixer machine or the lack of polishing of the new mold or the cleaning of unused oily materials after granulation. 3. Reduced feeding volume, even if the operator’s quality adjustment level is high, it is impossible to increase production. 4. The opening rate of the opening rate ring mode has a great influence on the production. In order to ensure the strength of the ring mode, the opening rate of the large aperture is generally high, and the mixed yield is also high. 1. Material volume quality In general, the larger the material volume quality, the higher the grain production. Therefore, when selecting raw materials, the formulation personnel must also consider the material weight in addition to the nutritional needs. 2. The moisture content of the material is too high, and the steam addition amount is reduced in the high-speed mixer, which affects the temperature increase of the mixer, thereby affecting the output and quality of the mixer feed. 3. Material composition: The protein material has high protein content. 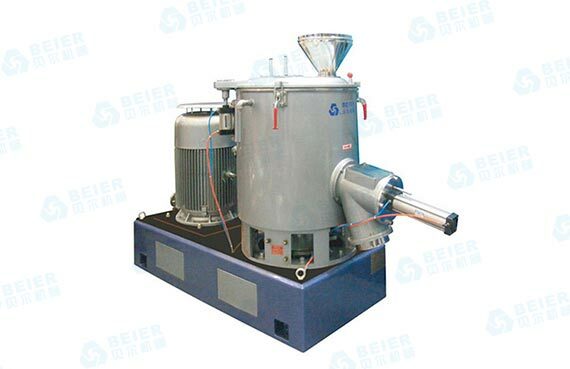 After heating, the material has plasticity and viscosity, and the high speed mixer has high mixing output. However, when the non-protein nitrogen is high, the mixed yield is lowered. Previous: What Aspects Can Improve the Efficiency of Mixers?